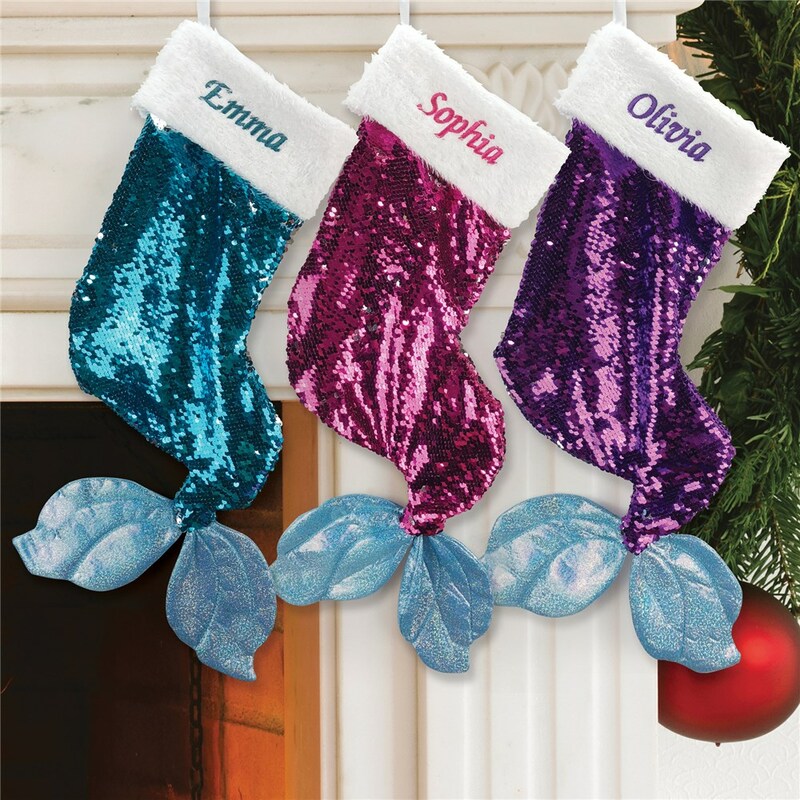 Our Personalized Reversible Sequin Mermaid Stocking is the perfect stocking for your little mermaid this Christmas season. 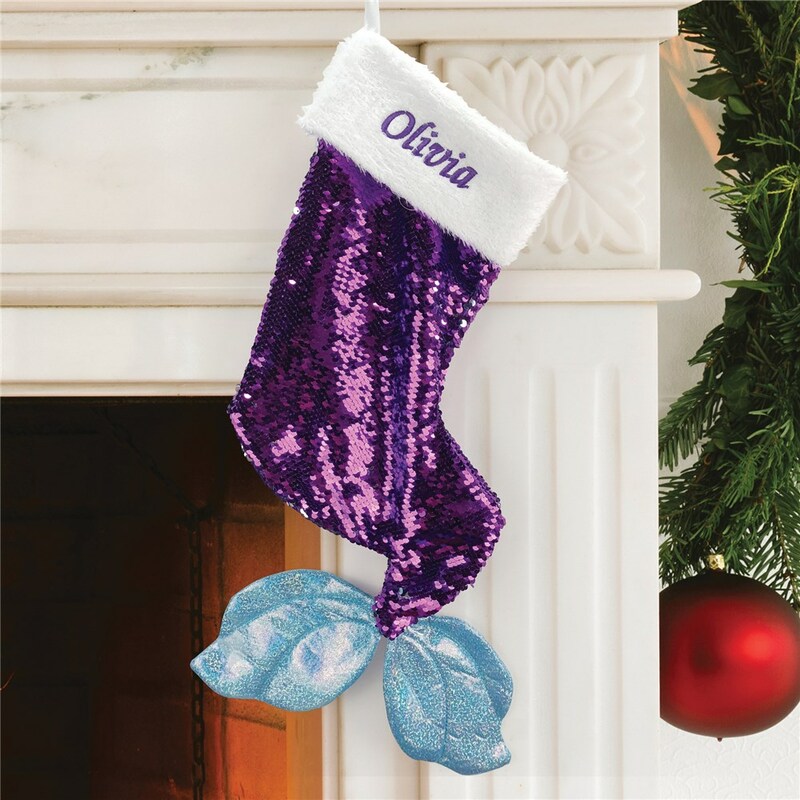 We will personalize this stocking with your choice of blue, pink or purple sequins and any name in any embroidered thread color* you choose. 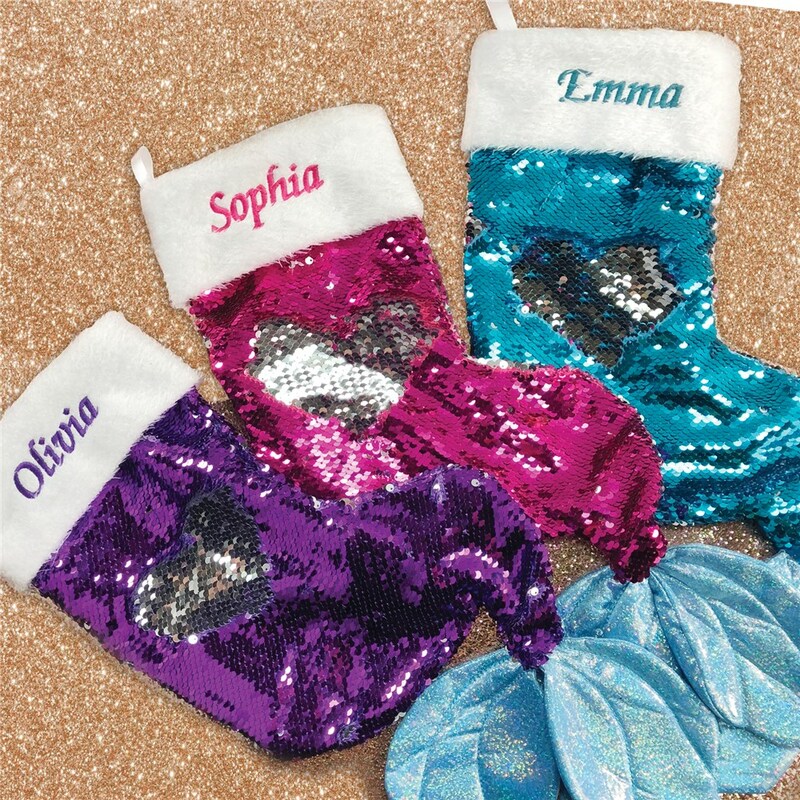 Reversible sequins are smooth to slide and can be moved to produce endless designs. 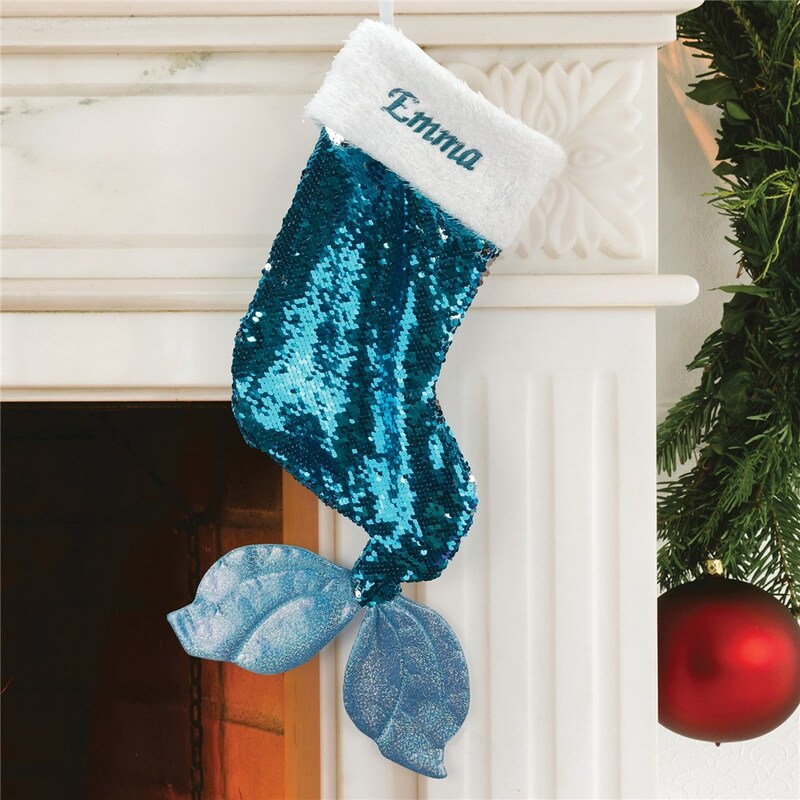 Your mermaid will love to hang this stocking on your mantle or in her bedroom! It was adorable and my friend I got it for loved it! Very cute sock- I love it. I bought it for a friend who is a mermaid fanatic.. she’ll be very happy! Looks great. Very pleased with purchase. I ordered the blue with slate print. Colors were as indicated. 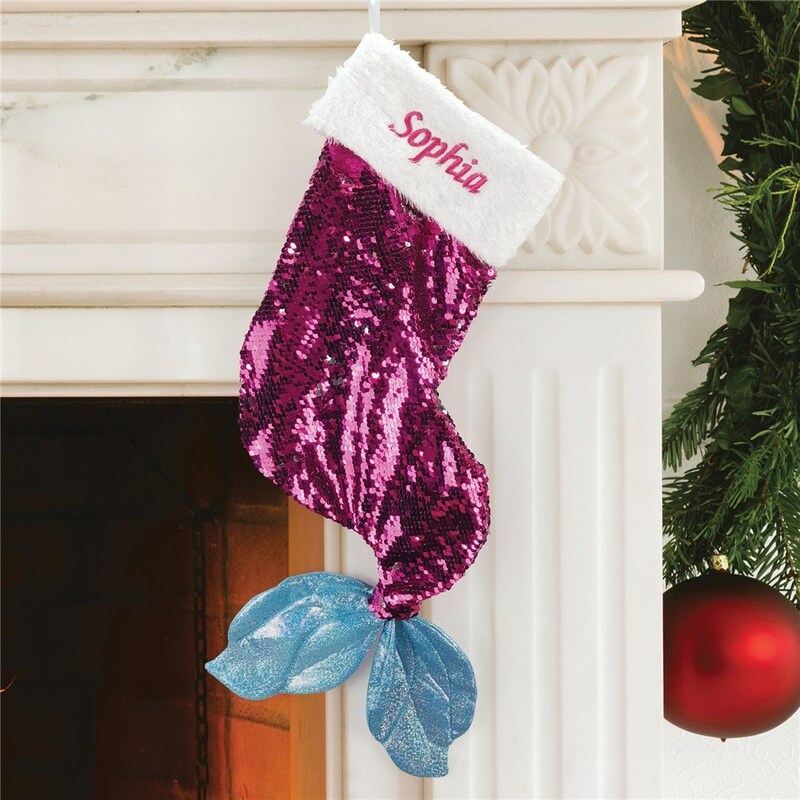 Additional Details Shop for even more mermaid gifts for the holidays, birthdays and more! 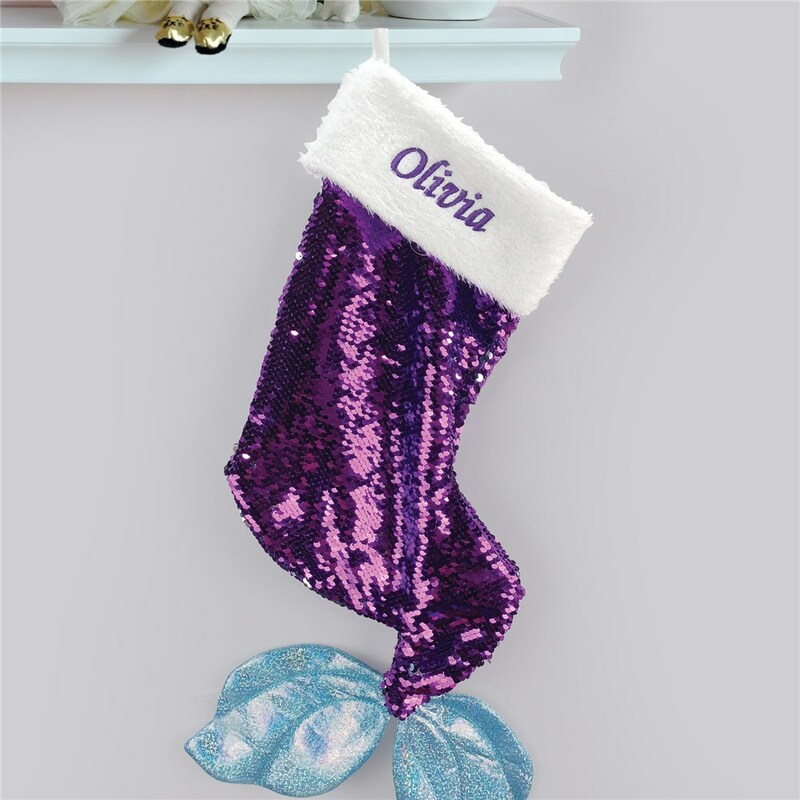 We also have a great selection of personalized unicorn gifts for your little girl or the kid at heart.